Bucket List Life, Skydiving, Public Speaking, Rappelling Super Heroes, and more! 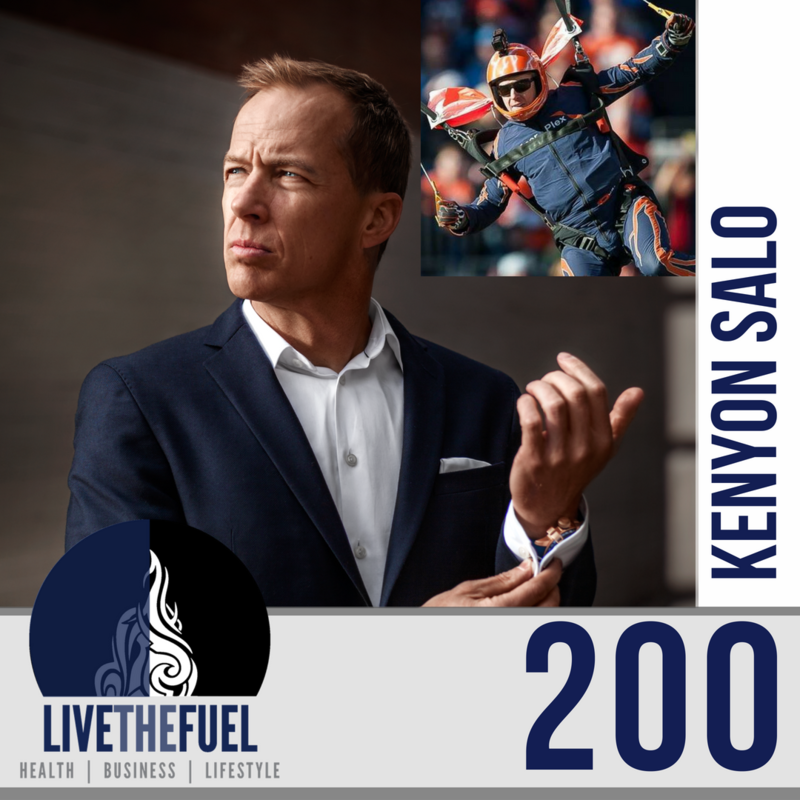 Bucket List FUEL is powerful, especially from Kenyon Salo. 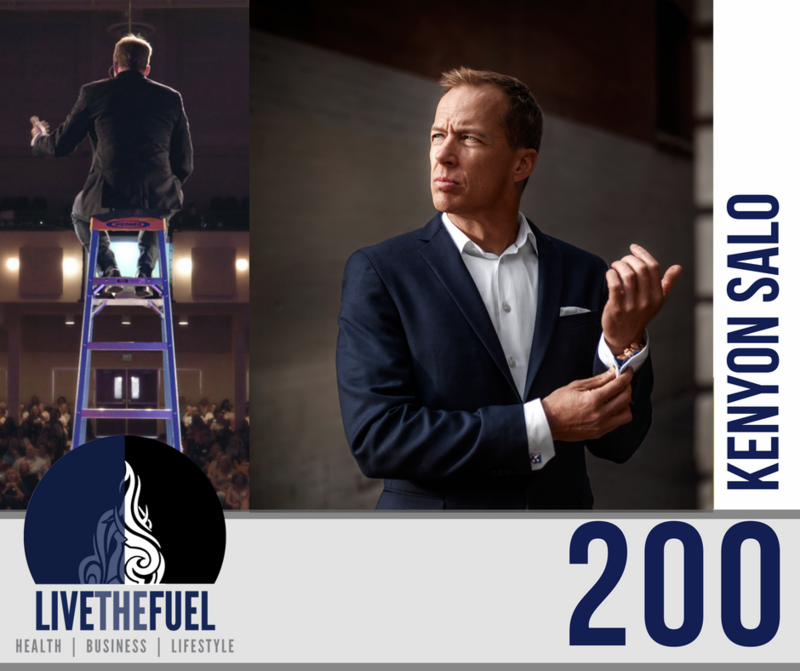 This is a special 200th Podcast episode with one of my inspiration influencers who helped me create and build LIVETHEFUEL! Kenyon has dedicated himself to living life to the fullest and helping others do the same. Through his passions for adventure, storytelling, and connecting with people, he found a simple process that he shares with people on stage. He guides us on a path to what most of us crave – living a more fulfilled life. One of only five members on the Denver Broncos Thunderstorm Skydive Team, he is seen each week during game season flying into the Denver Broncos Stadium at 60+mph, ending with a soft tip-toe landing on the ten-yard line. He brings to the stage over 20+ years of successful audience engagement through humor, awe-inspiring moments, prolific storytelling, and ‘edge-of-the seat’ content. [05:30] Kenyon shares the story from the ashes of him creating The Bucket List Life and the brand of Kenyon Salo. [08:40] Reconnecting about Michael O’Neal of the Solopreneur Hour Podcast and his coaching to follow Kenyon Salo and The Bucket List Life facebook feed for guidance and inspiration. [12:30] Growing his adventure brand. Realizing that when he spoke about his concepts, they were better received. The Bucket List Life Keynote was born. [19:30] A decade as a pro snowboarder. New Hampshire was WICKED GOOD! [23:00] Kenyon stands on a ladder. [29:00] Rappelling Super Heroes for the Children’s Hospital of Colorado. When you give to others first, everything will come back ten-fold. [33:40] Kenyon shares the energy and the exhaustion involved with public speaking. [44:50] Geeking out about Star Wars and the Empire Strikes Back. [55:40] It IS all about the reps. Discussing lessons learned from Scott’s first triathlon that he wasn’t able to complete the swim portion. [01:02:00] Plenty of shoutouts tonight on this podcast for Michael O’Neal.